This amazing illustration from the original manga creator, Eiichi Shimizu, is a good representation on where I would be hinging on as far as figures from the ULTRAMAN manga and upcoming anime are concerned. 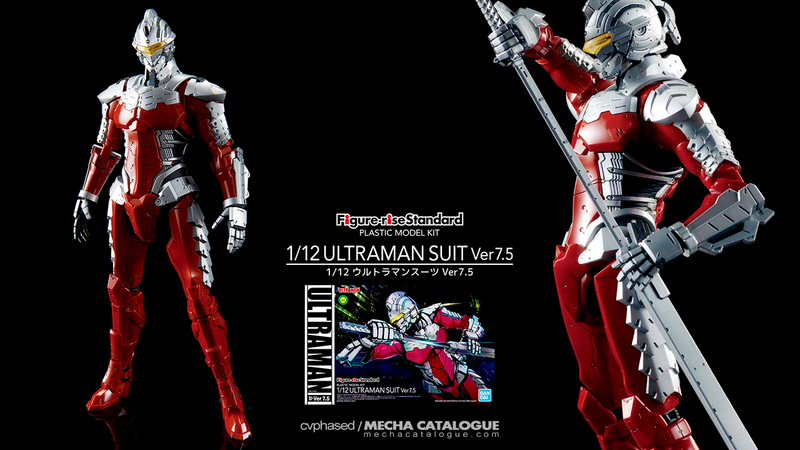 You see, Tamashii Nations did release theirs a while back under the ULTRA-ACT ✕ S.H.Figuarts collaboration and included ULTRAMAN SUIT, ULTRAMAN SUIT v.7.2 and ULTRAMAN SUIT v.ACE. All three were based on the manga designs. Bandai Spirits Hobby, on the other hand, is currently releasing theirs to tie in with the Netflix anime slated for Spring 2019. They’ve also announced kits of the same three suits, based on the anime designs this time. I already own the S.H.Figuarts versions so I’m not really planning on getting the Figure-rise Standard ones. However, and this would likely depend on how far the anime would be adapting the manga, the latest volumes already have a couple more suits revealed. One is based on Zoffy and the other on Ultraman Jack, the latter having a bulky design reminiscent of an Iron Man Hulkbuster armor and more reasons to compare and contrast these suits. What I’m saying is I’ll be inclined to go with the figure line which would cover more of these suits. Though Bandai Spirits, whether collector or hobby division, has a habit of having a couple or so releases from a franchise then stopping right there. Case in point being both the S.H.Figuarts figures and High Grade kits from Pacific Rim: Uprising. Fortunately, these kits are on a regular reissue cycle so I could easily get them if ever they go beyond the initial three designs.